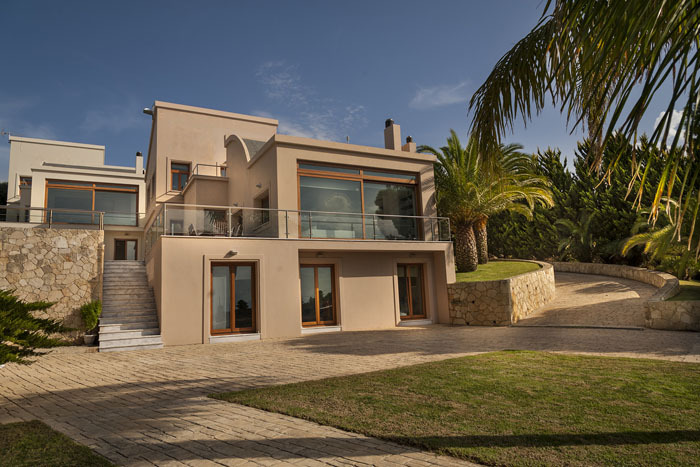 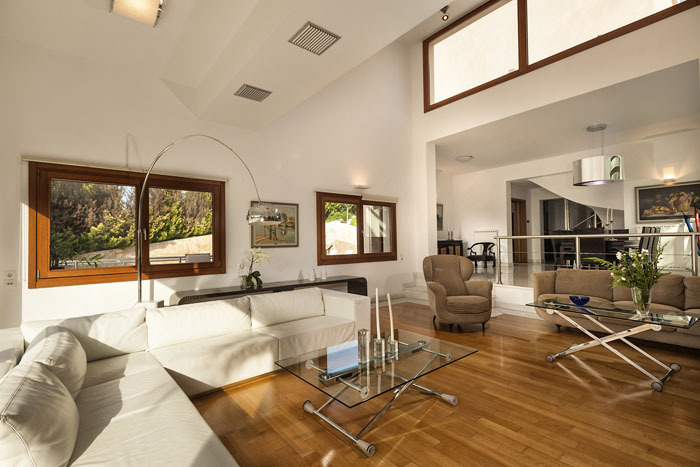 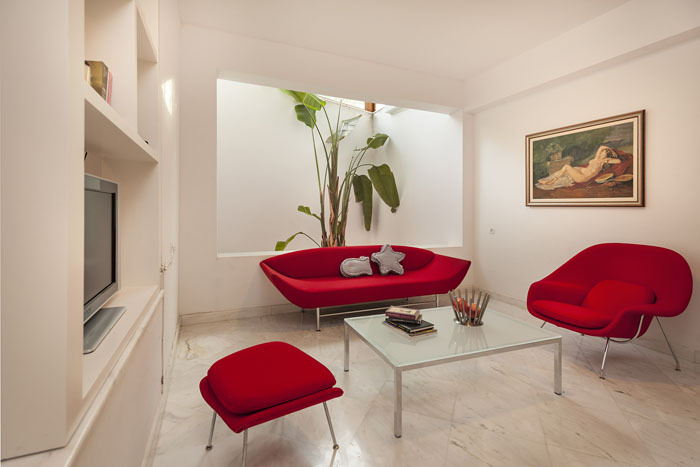 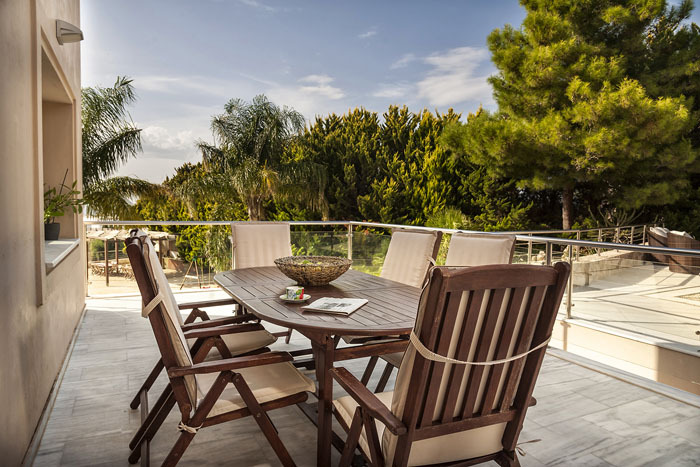 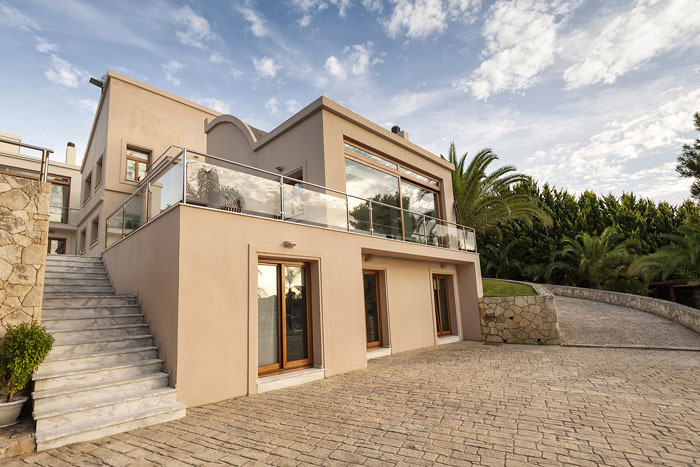 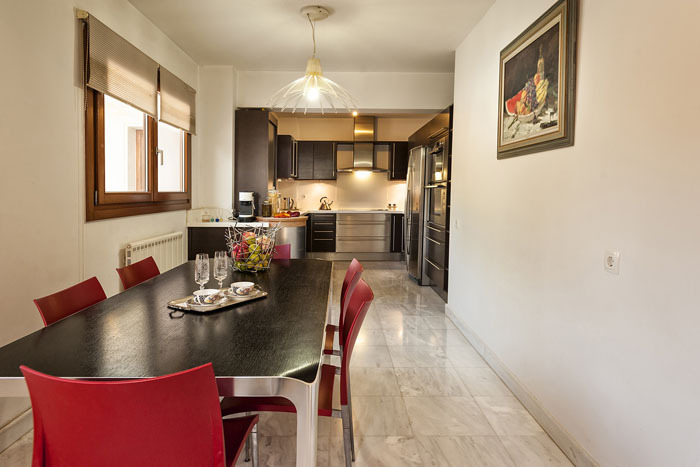 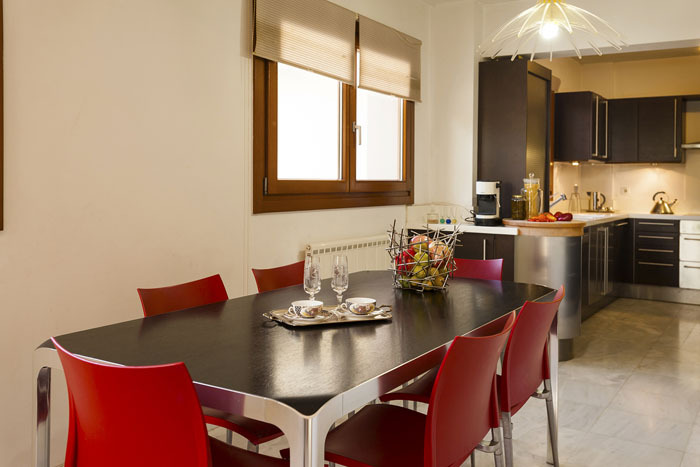 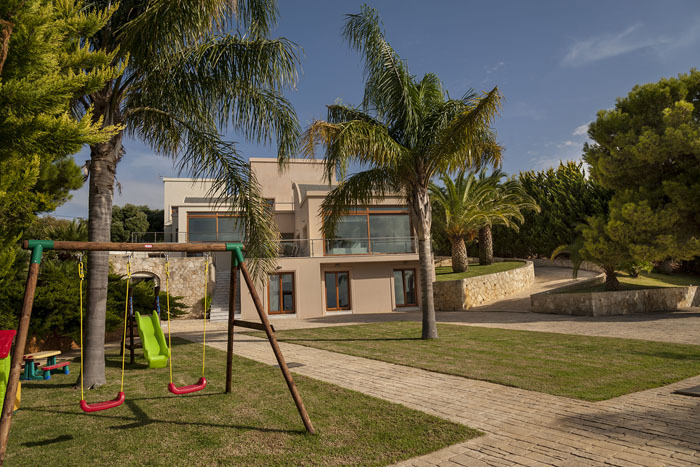 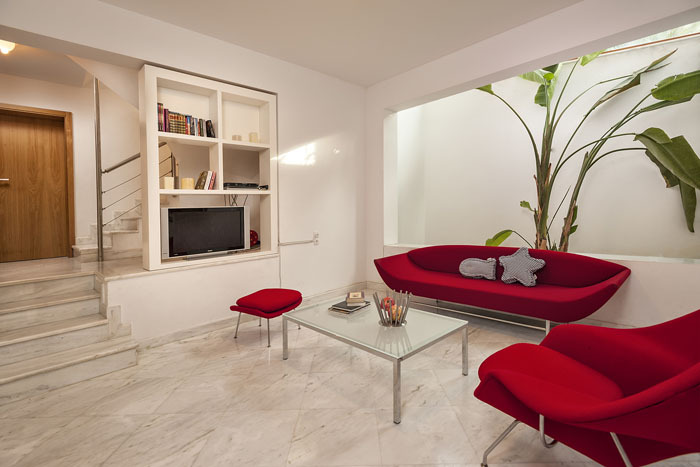 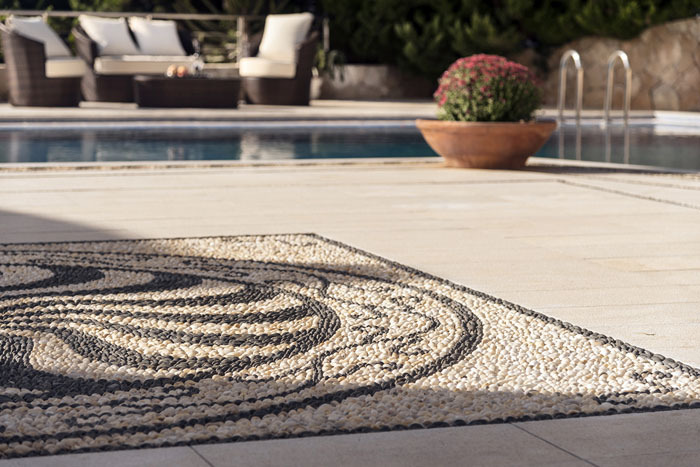 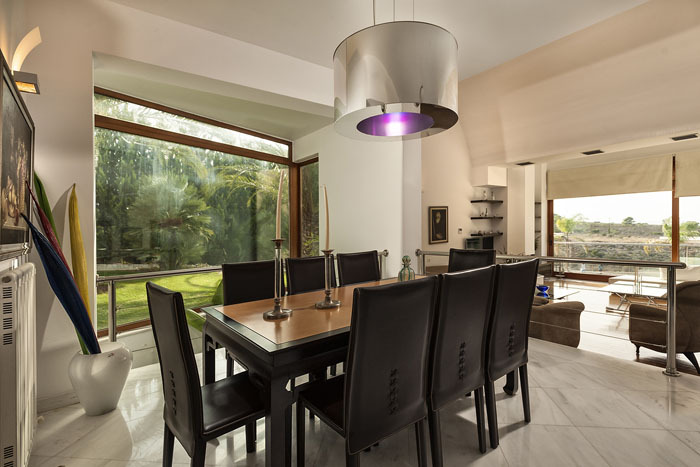 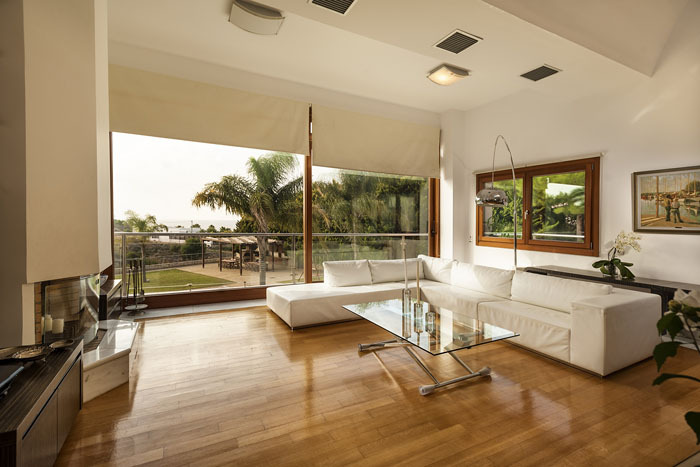 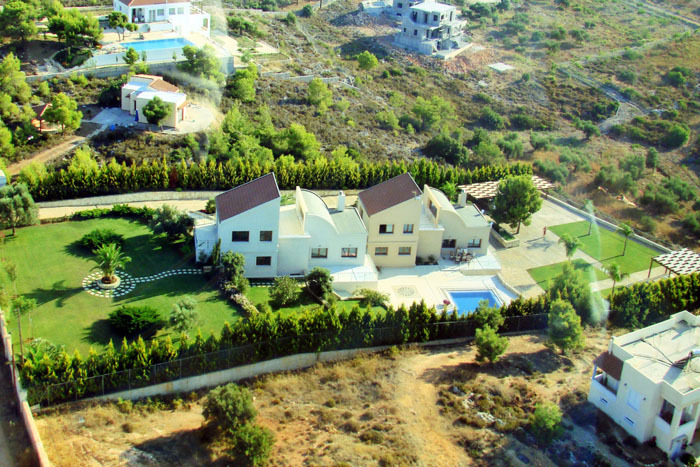 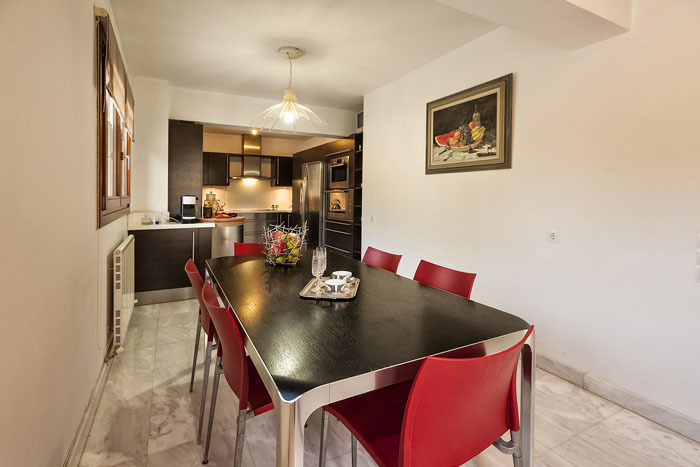 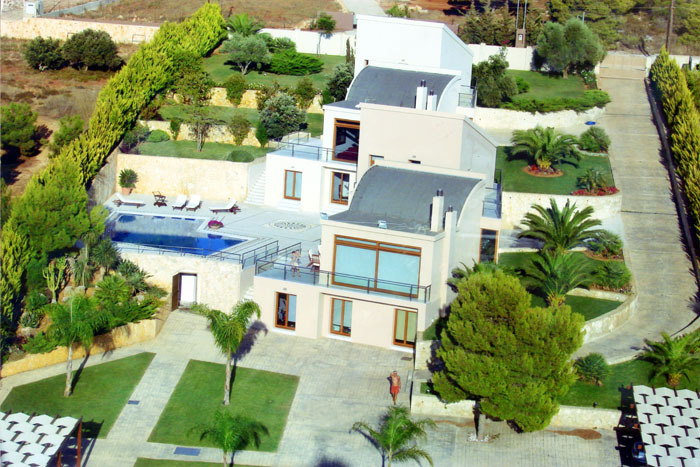 The villa has a 440sqm interior area and is built on three levels. 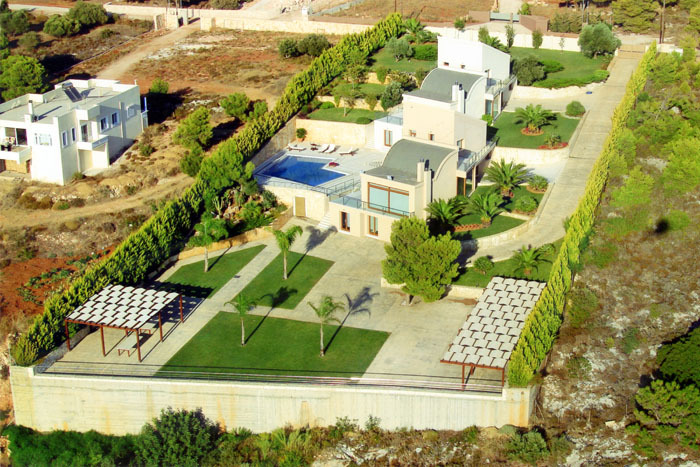 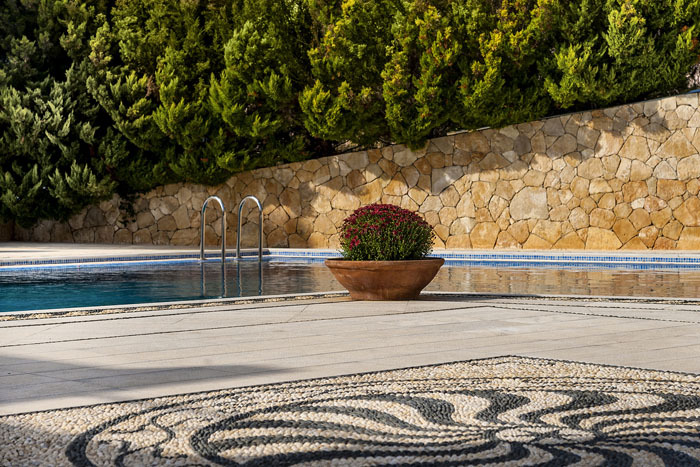 Because of the grounds’s steep slope, two of the levels have access to the pool, garden and outdoor areas. 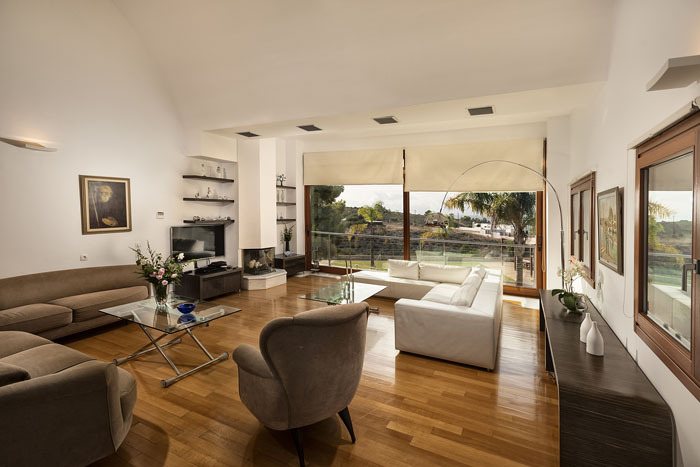 The main- middle level has a 50sqm living room with fireplace and large windows that allow the light in and offer beautiful, relaxing views. 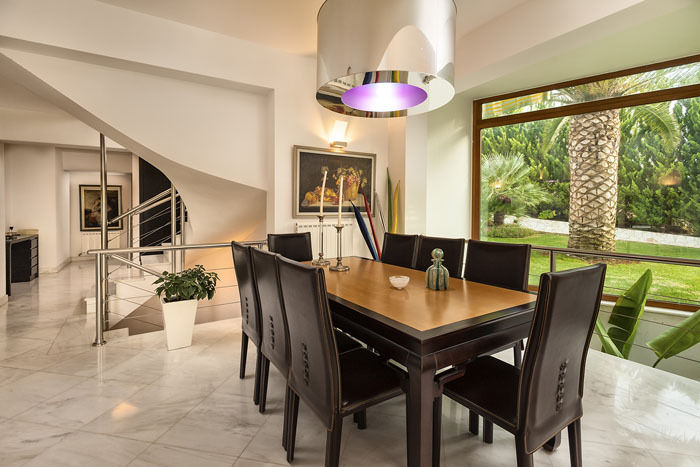 Next is a 30sqm dining area which overlooks the living room and further a 45sqm kitchen with another dining table and luxurious appliances. 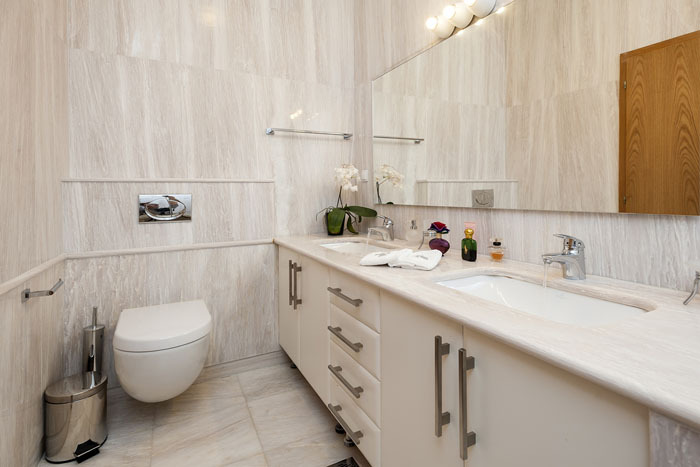 On this level there is also a guest toilet. 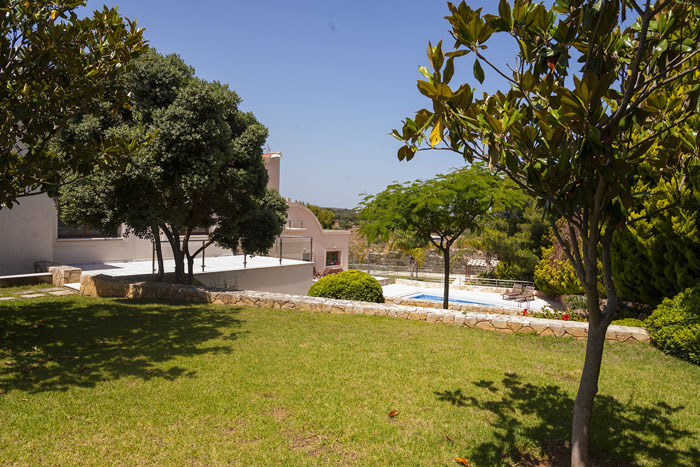 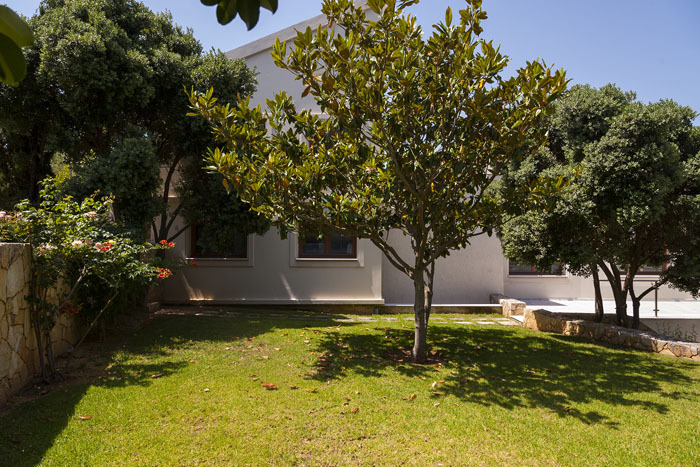 The upper level features a 35sqm master bedroom with en suite marble bathroom with tub and a 16sqm attic and a large veranda with comfortable sitting area and stunning views of the garden and bay. 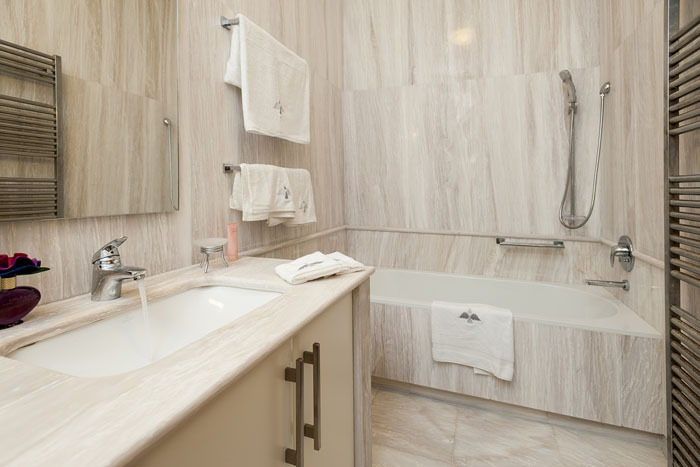 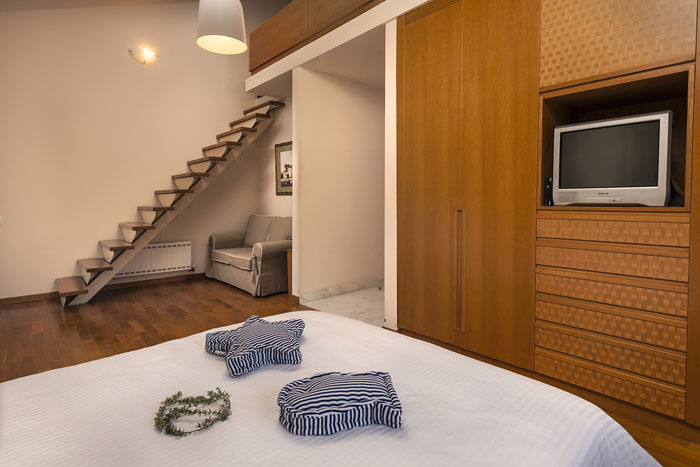 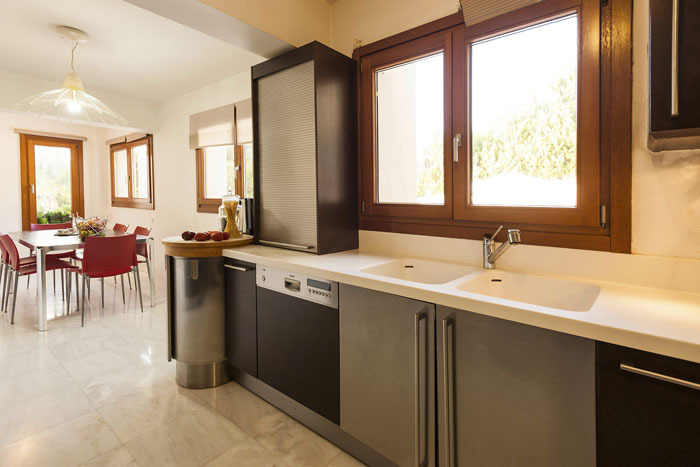 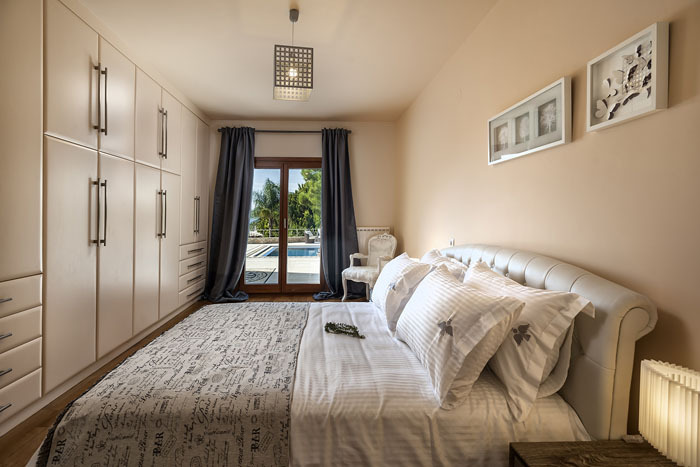 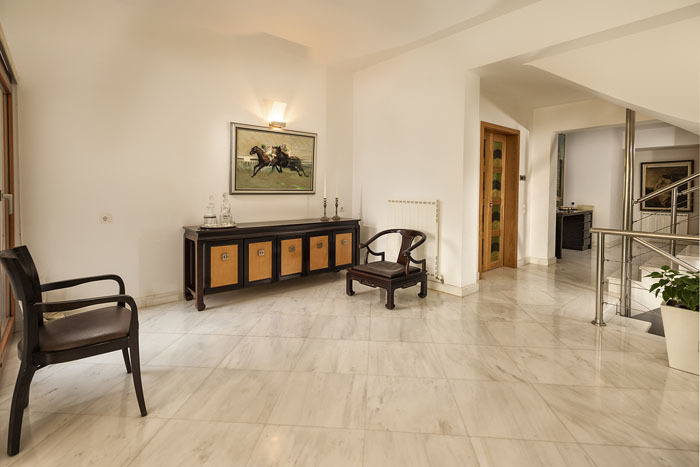 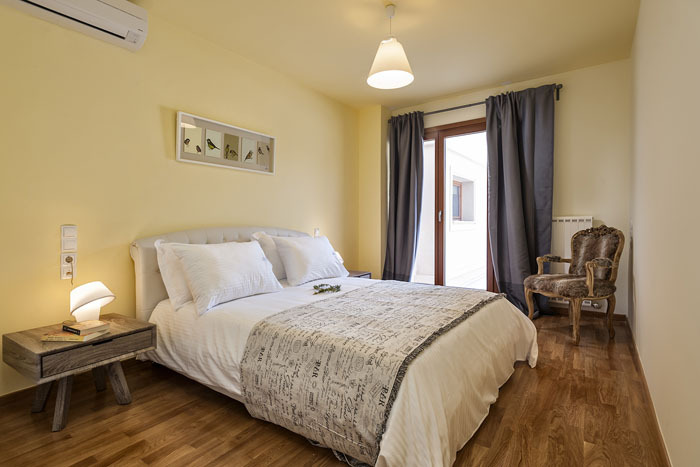 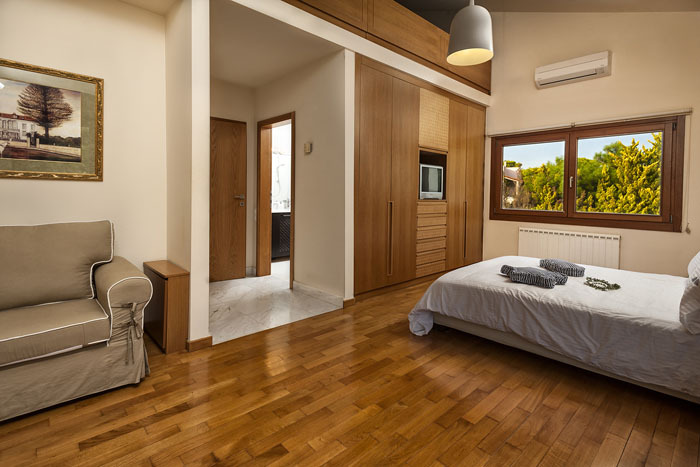 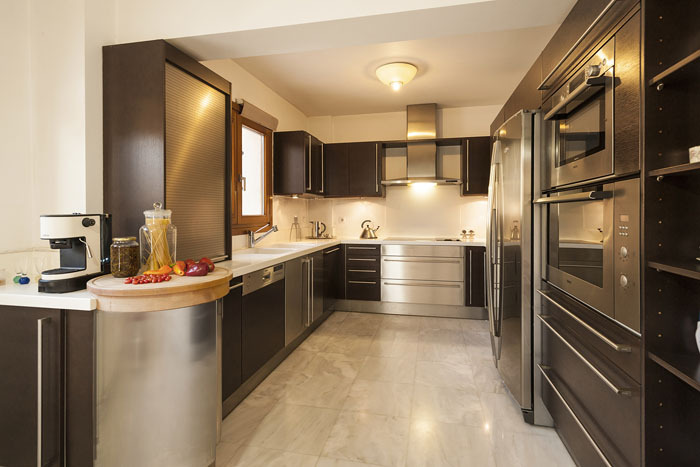 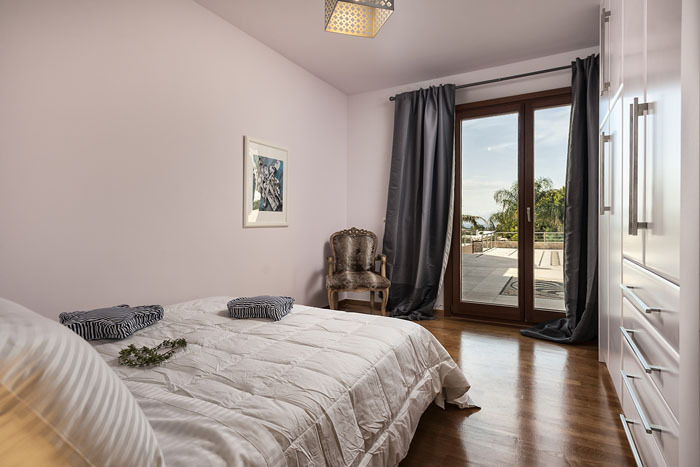 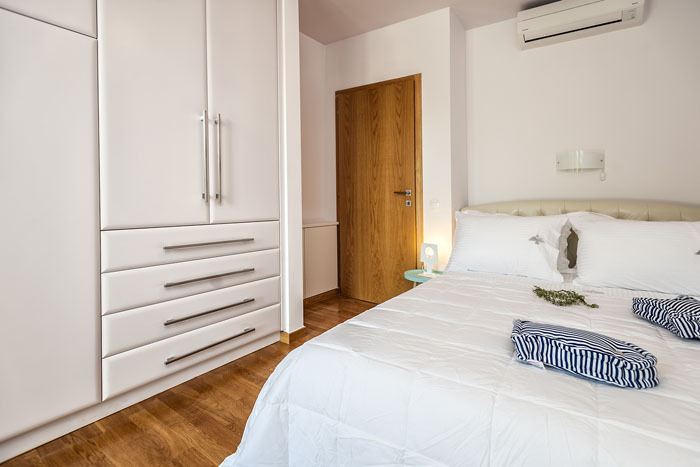 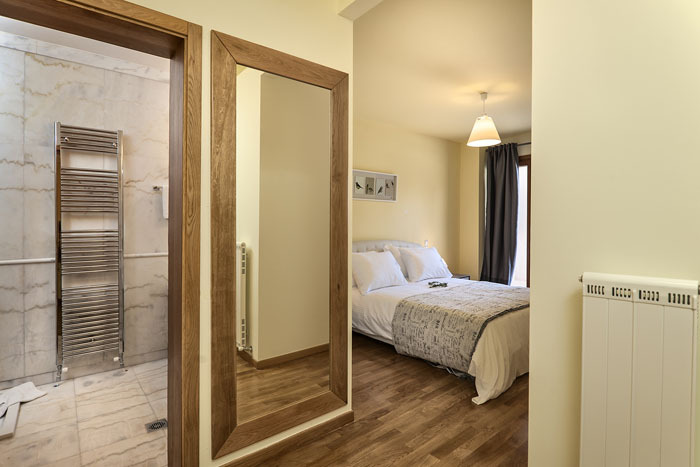 The two lower levels offer two double bedrooms with en suite marble bathrooms with tubs, two twin bedrooms, two semi- double bedrooms and two bathrooms with showers. 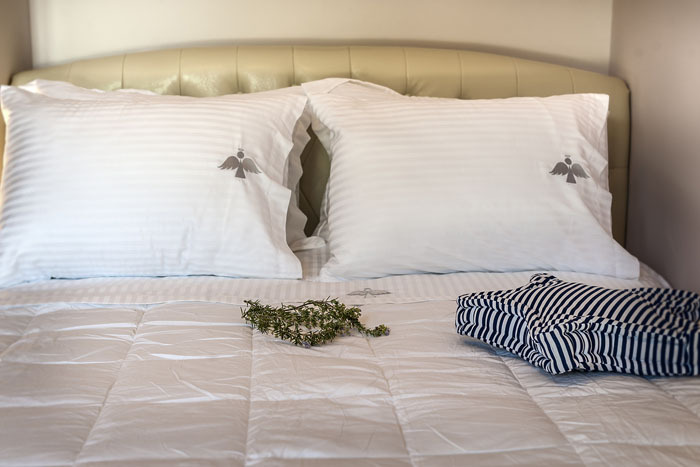 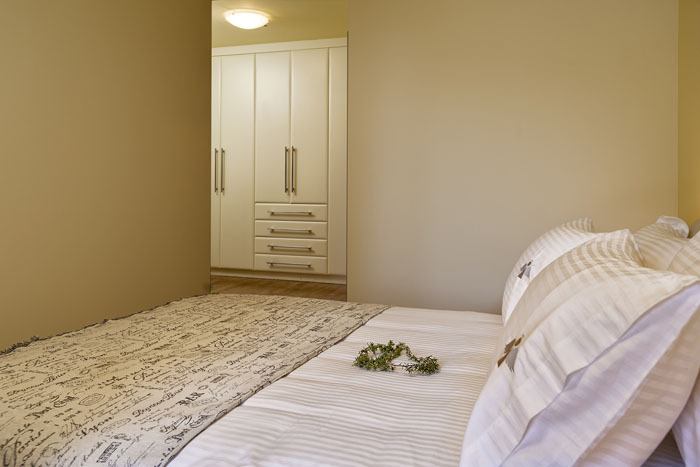 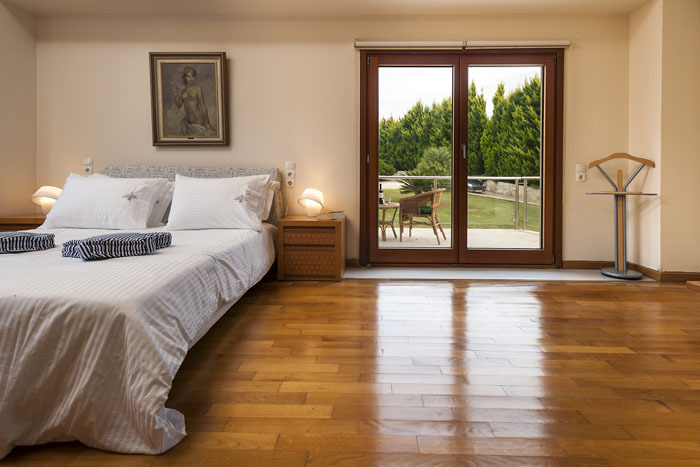 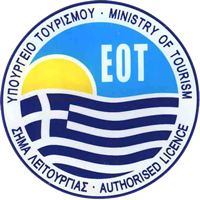 All rooms have wardrobes, air conditioning and views either to the garden or pool. 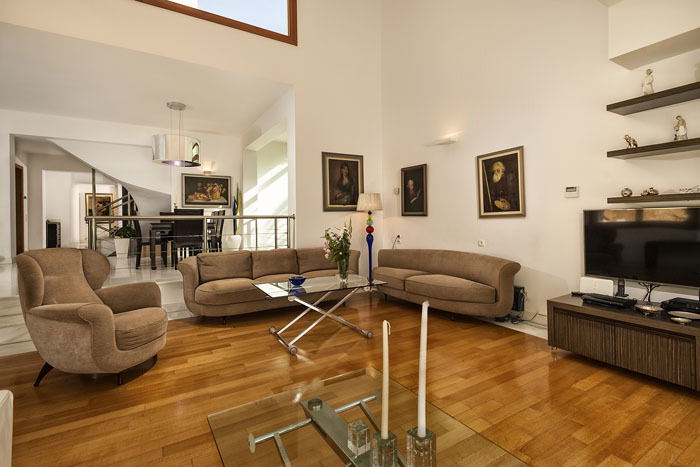 On this level there are also two spacious sitting rooms each with two double sofas, TV, bookcase and an architectural coure anglaise. 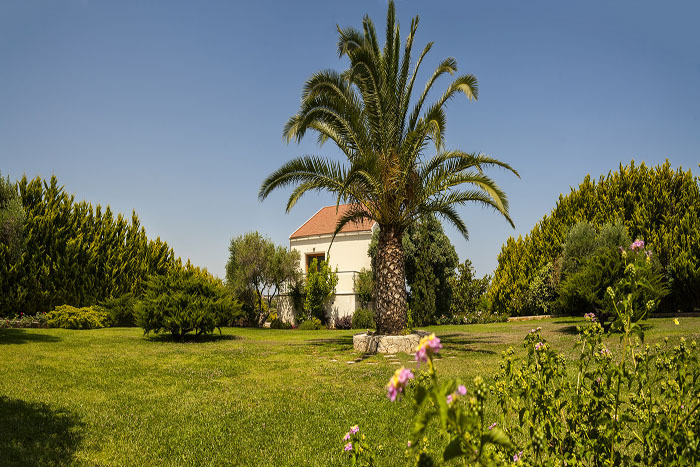 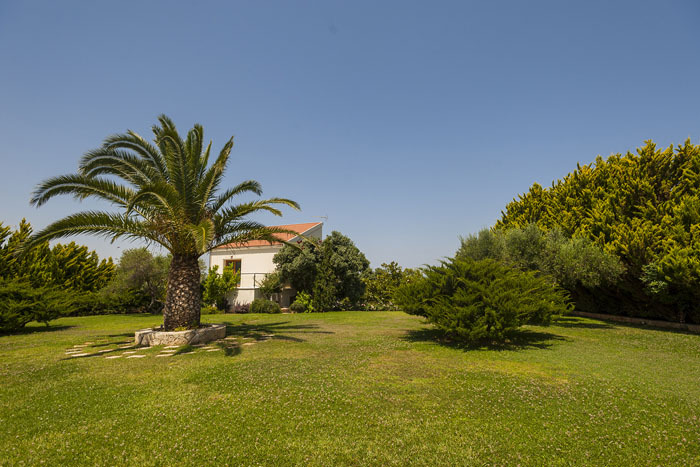 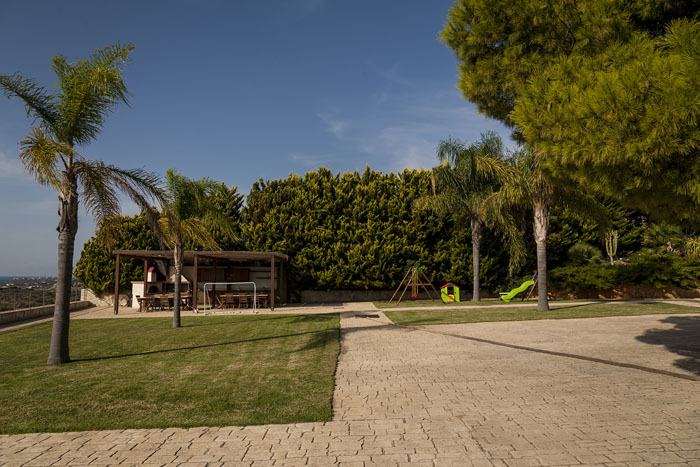 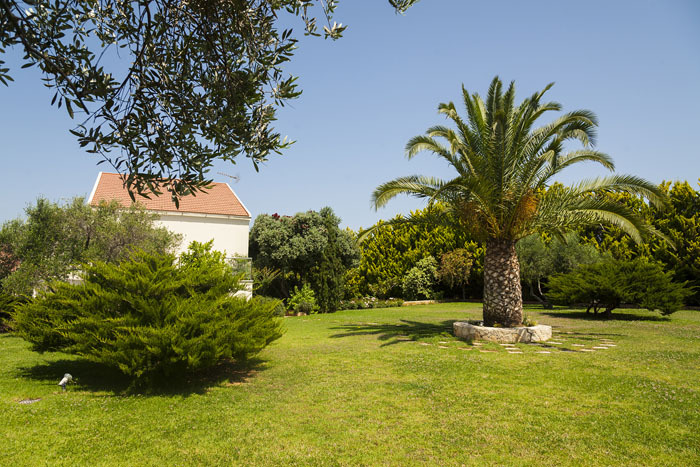 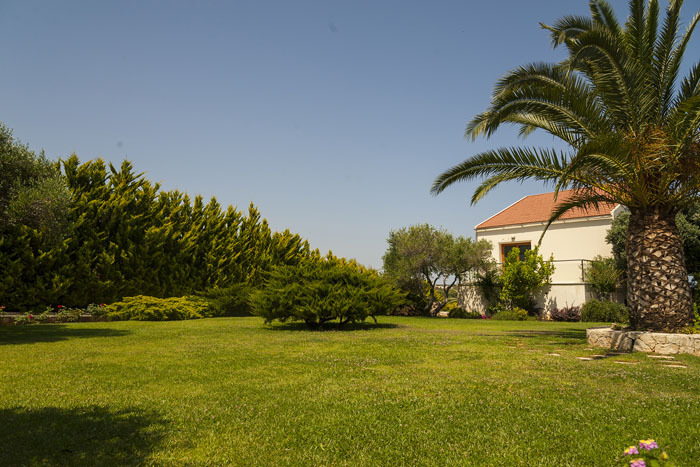 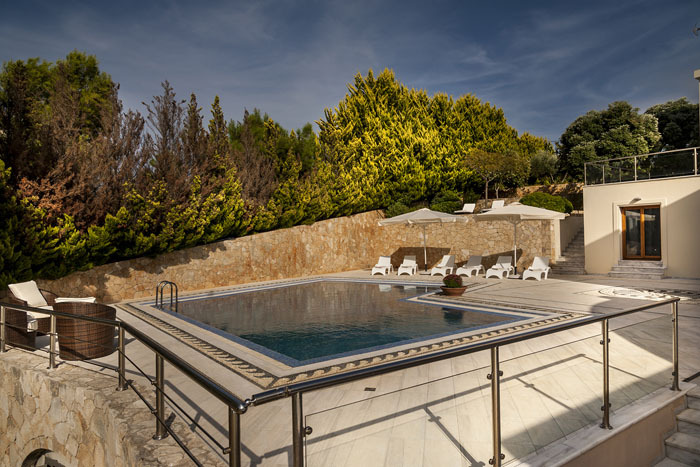 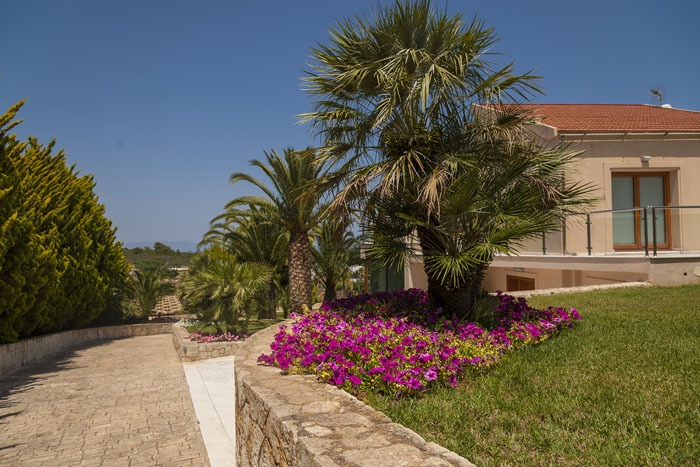 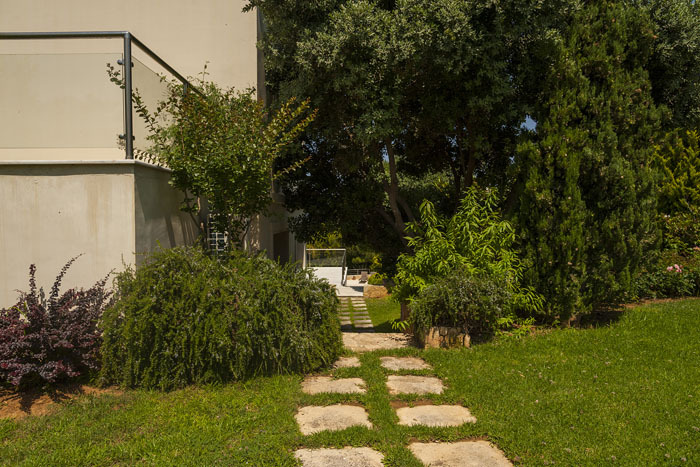 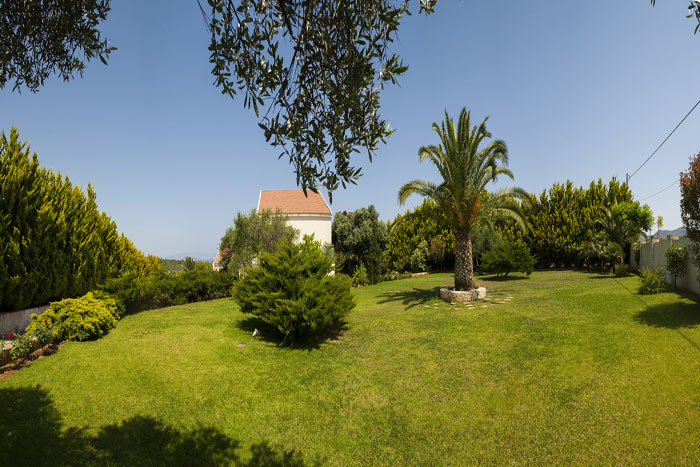 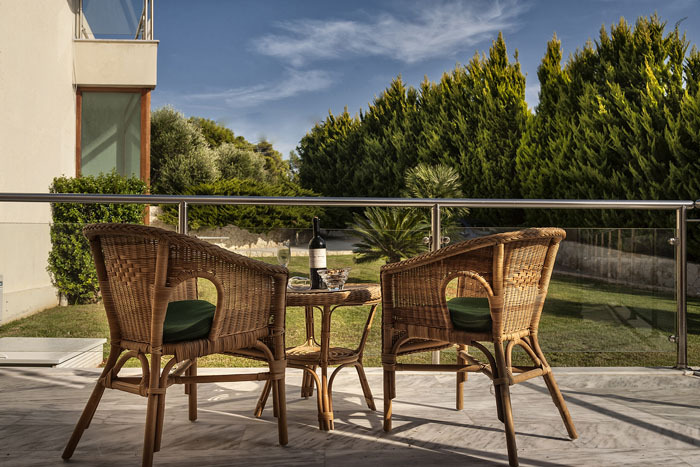 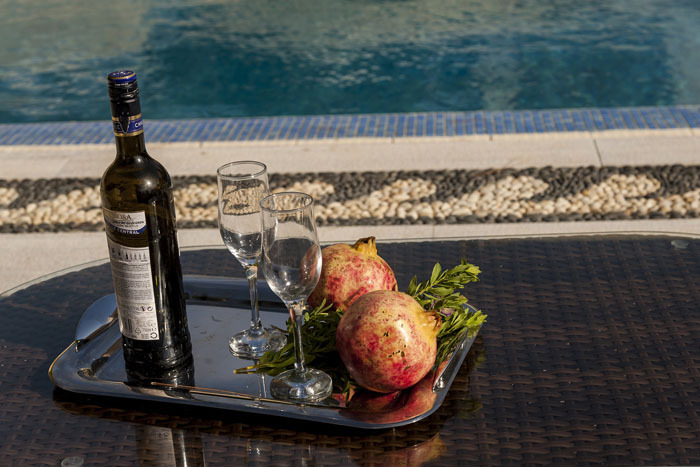 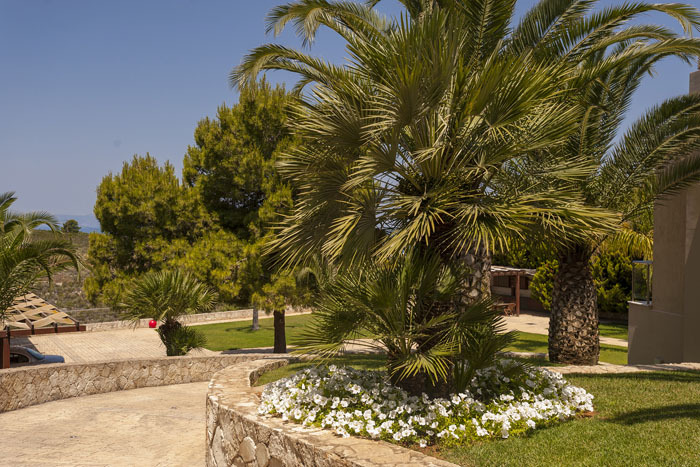 The villa has a big 60sqm private pool with sun beds and umbrellas and is surrounded by approximately 3000sqm well kept garden with lawn, exotic and local plants, colourful flowers and herbs. 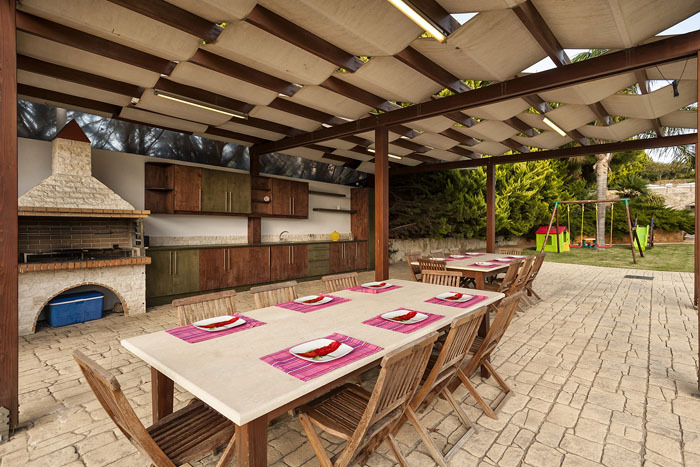 There is also a shaded BBQ area with a large dining table, a perfect spot for guests to gather around and enjoy a nice dinner. 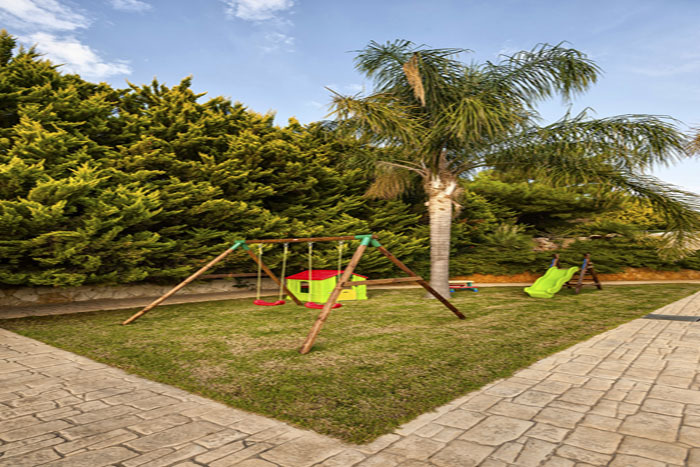 For the smaller ones the house has a playground with swings, slide, seesaw and house.